The hit comedy troupe The Tenderloins or the Impractical Jokers are coming back to the SSE Hydro Glasgow in October with a brand new show. 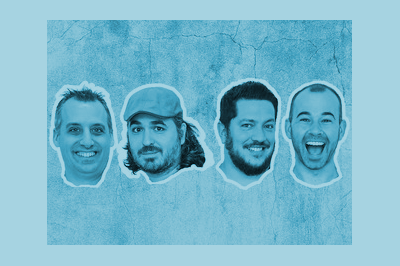 Stars of the Comedy Central TV show Impractical Jokers, the Tenderloins prank each other with their ridiculously funny stunts. Their debut arena tour saw them sell out the Hydro as well as shows at The O2 in London. The group consists of Sal, Joe, Q and Murr and they’ve been performing together since 1999. This new show forms part of the ‘Where’s Larry?‘ tour and is set to be another huge hit among fans of the Impractical Jokers. They are set to play the Hydro on Friday 6 October 2017. Tickets for their Glasgow show go on general sale from Saturday 13 May at 10am.